Think you know New York? 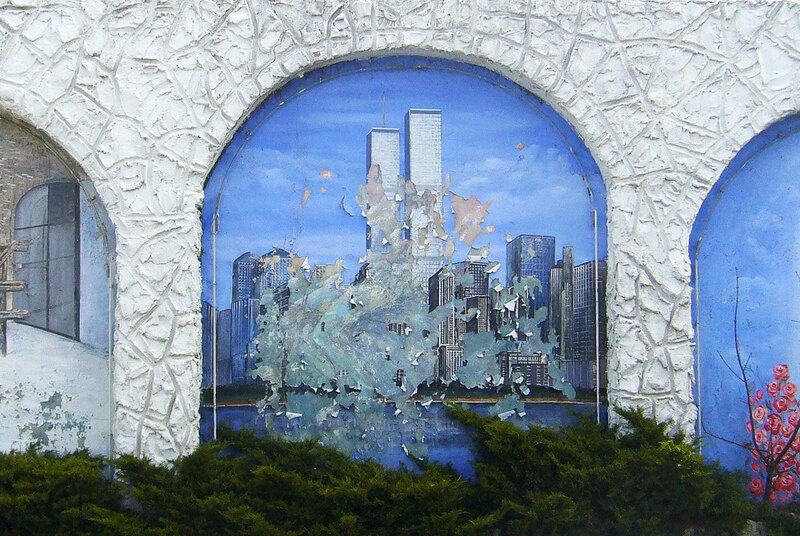 The photojournalist Janko Puls, who moved here in 2006, shares his singular personal urbanscape in “Point of View New York City: A Visual Game of the City You Think You Know” (CN Times Books). Mr. Puls renders otherwise conspicuous sites obscure by focusing on architectural details or by photographing from odd angles, challenging the viewer. For instance: Could you recognize the World Trade Center Memorial from a context-free geometric shot of its reflecting pool? Could you pick out the charging bull of Wall Street from a close-up of the tip of its bronze horn? Some will challenge even the most knowledgeable New Yorker (Mr. Puls helpfully provides a map and an index with addresses and interesting factual tidbits). This fun and fascinating travel guide to NYC spans the familiar—from unfamiliar perspectives—to the unique and obscure. Some of the iconic landmarks of New York City—the Empire State Building, the Statue of Liberty, the 9/11 Memorial—are instantly recognizable, even to those who have never been to New York. Photographer Janko Puls trains his eye (and his camera lens) on some of the notaseasily identifiable sights of NYC in his photo book, Point of View New York: A Visual Game of the City You Think You Know. Since the abandoned elevated train tracks were converted into a flashy park in 2009, they have drawn an international tourist crowd and changed the neighborhood from seedy to ritzy. Japanese artist Hyemi Cho had an idea for dealing with the daily packs of tourists peeking into her window right next to the tracks: She painted this friendly self portrait and provided her neighbors and friends with similar protective shields. The book travels off the beaten path, but there are plenty of famous sights included too, always photographed in a unique way. The photo locations are also identified on a map of New York at the back of the book. Point of View New York City offers the experience of seeing the city not from postcard panoramas but from the shifted perspectives of an adventurous pedestrian. Though the book provides entertainment for any reader, those most interested may be New Yorkers who haven’t explored the nooks and crannies of the city the way Puls has. Those readers might well find themselves with a whole new appreciation for the city they inhabit. "This book is a wonderful addition to anyone who wants to explore NYC with a fresh perspective. Tourists and native New Yorkers alike will enjoy Janko Puls's unique compositions and ability to challenge you to look at locations that you may have passed by many times but never truly appreciated." "This book is a beautiful and personal photographic journey through New York City's best (and some least known) treasures. Both natives and visitors alike will learn something new just by looking." "The same day that I picked up “Walking Queens” and “Walking Brooklyn,” I got Janko Puls’ “Point of View New York City: A Visual Game of the City You Think You Know.” This is a wonderful little book for lovers of New York, architecture and photography. It’s a puzzle book: 144 closely-cropped photos of well-known New York City places. Your challenge: identify the places. Some are easy, some are difficult; all demonstrate the power of seeing something familiar from a different point of view. Beautifully done, Janko!" This little photo book is an ode to the places in NYC where architecture aligns with time and circumstance, creating a moment during which we cannot help but NOTICE THINGS. Use it to test your NYC smarts or embark upon a scavenger hunt, and experience the city in a whole new way. Janko Puls's small, game-like book is a little gem of New York City trivia. I say game-like because, even though the word "Game" is in the title, Point of View New York City: A Visual Game of the City You Think You Know is really more like a picture book except the image info is in the back of the book (similar to some art books). As a new resident of NYC, Puls's book both reminded me of sights I see everyday and spurred me to seek out some of the interesting places I didn't know about. Puls also gives a bit of information - often a factual nugget about the sight, sometimes a story - that helps to place each unique corner of the city into the broader history of the people and culture. I think even someone outside of NYC would find value in the book, though, because it serves as an esoteric travel guide highlighting the hidden corners of this huge metropolis. More than anything, I value how small and intimate Puls makes the city feel through his beautiful images and informative text.